This Bostitch N66C-2-E air coil nailer is our most popular selling air coil nailer and represents excellent value for money. Features on the Bostitch N66C-2-E include a rubber comfort grip, aluminium housing, non marking rubber tip, adjustable nail depth control, adjustable exhaust, sequential safety trigger (SINGLE SHOT OPERATION ONLY), impact resistant magazine, twist magazine, compact nose & heavy duty plastic carry/storage case. 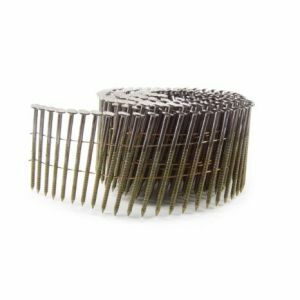 Fires 2.1 to 2.5 gauge 15° wire collated flat coil nails 32-64mm in length. 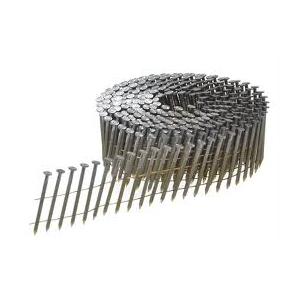 Ideal for fencing, sheds, garden buildings, construction, siding, cladding, joinery and DIY applications. 1 Year Bostitch warranty.